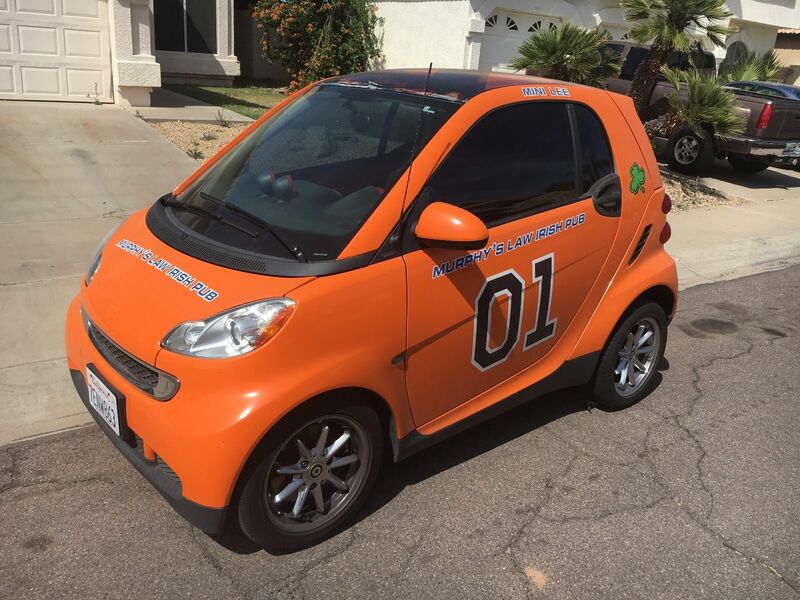 Find this 2009 Smart Fortwo General Lee here on eBay offered for $4,000 buy-it-now with 1 day to go, located in Chandler, AZ. The vehicle runs and the A/C blows cold. 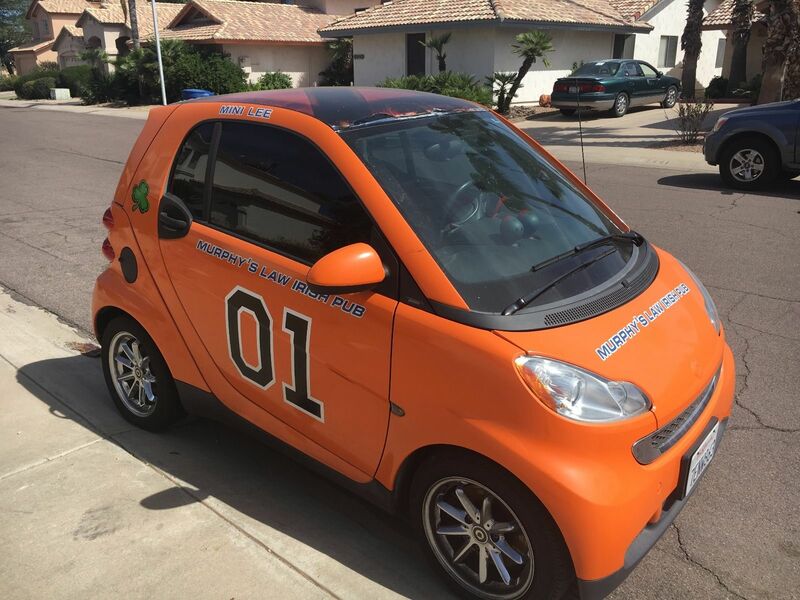 It has a General Lee "wrap" on it. I replaced the original battery last week, the electronic gearbox wont go in to drive. I tried ...un hooking the battery and reconnecting...no luck. I priced it to sell to make up for the mechanical difficulty. The tires are in great shape. I have owned the car for 3 years and up till this battery mishap....No problems at all. I prefer the Gulf logo on the Gulf-Wyer blue Fiat 500e. Can't find a pic right now. Is this gearbox failure an electro-mechanical fluke, or did Mercedes design this thing in a way that only a MB/Smart dealer can replace the battery? It sounds very Mercedes to me. Good find. Excellent. Park in front of sellers house with $999 cash and just wait it out. It's only gonna get hotter. Bring a whole lot of Dewalt 20V packs. Actually, if one were looking for an art project, one could do a lot worse than something like a Leaf, a 500E, or one of these with, like, forty Li-Ion drill battery packs hanging on the outside. Oh man, this needs a gixxer swap and a dixie horn. $4K!?! 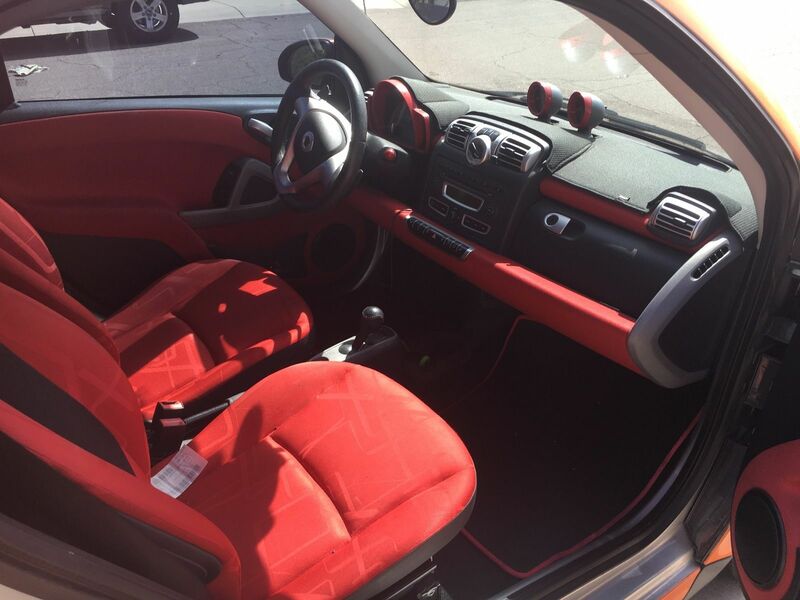 I guess I got a good deal on mine... 09 Cabrio for $4.5K. It shifts AND it doesn't have a General Lee wrap!